Buellton is located on US Highway 101 in the Santa Ynez Valley of Santa Barbara County. 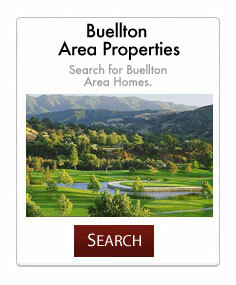 Buellton has an estimated population of 4,552. Within a six mile radius are four picturesque villages: the Danish City of Solvang; the western town of Santa Ynez; and the quaint rural communities of Ballard and Los Olivos. Larger cities in the area include Santa Barbara, 40 miles to the southeast via US 101; Santa Maria, 35 miles to the north on US 101; Lompoc, Vandenberg Air Force Base and Vandenberg Village, 17 miles to the west along State Highway 246. Los Angeles is two hours south of Buellton on US 101, and San Francisco is about a five hour drive north on US 101 or scenic Highway 1.